Over the past two years, the city and county of St. Louis have discussed plans to expand and renovate the destination’s 41-year-old, downtown America’s Center Convention Complex. Most of those discussions have treated the expensive renovations as much more of a necessity than a luxury. 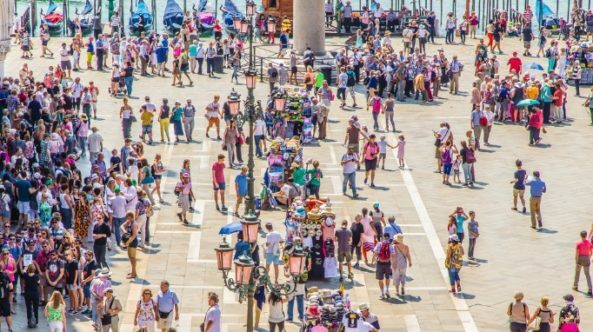 The breadth and strength of the modern meetings and events industry means groups have more choices than ever. Instead of simply being an element in a destination’s success, modern and future-proof convention centers may be the key to surviving in an increasingly competitive market. Earlier this month, St. Louis announced AC Next Gen Project, a $175 million plan to renovate America’s Center, adding 92,000 sq. ft. of exhibit space, a 65,000-square-foot ballroom, 42,000 sq. ft. of additional area, an outdoor pavilion and 26 new loading docks. Also, on Friday a groundbreaking ceremony took place for the $9.1 million renovation of Atlantic City Convention Center. The project will completely overhaul the facility’s 32 restrooms, which will involve modernizing more than 20,000 sq. ft. of space and include the installation of new wall tile, flooring, mirrors, toilets and lighting. Likewise, last week Indianapolis announced a $120 million renovation for Indiana Convention Center, adding a 50,000-square-foot ballroom—the state’s largest—and two more connected hotel towers for a total of 1,400 additional guest rooms. These announcements come on the heels of recent developments countrywide, a few even breaking the billion-dollar mark. The $1.6 billion Summit Building is an expansion comprising 255,000 sq. ft. of event space being built alongside Seattle’s Washington State Convention Center. Construction officially started in July of this year, with an end date of 2022. 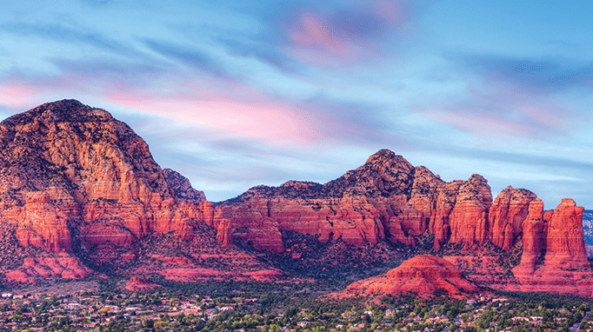 In every destination, the promise of additional business and event opportunities is difficult to ignore. But such enhancements don’t happen in a vacuum. According to those cities, especially those in the shared market of the Midwest, that perception isn’t wrong. Feeling the same pressure to innovate and deliver for larger, more diverse groups, aging convention centers simply are not going to make the cut. But, for the time being, taking the plunge with renovations or diving in head first with an entirely new convention center is resulting in exactly the kind of city-wide return destinations want. While the process of hammering out exactly what improvements are needed and how to pay for them has continued ever since, Ratcliffe’s views haven’t changed. “Virtually every city in our competitive set for national convention business has improved their convention facilities,” she said in a more recent statement to St. Louis Public Radio, marking the announcement of the current renovation plans. Faced with the implacability of that hurdle, Oklahoma City is one of the handful of metro areas that has chosen to build a new convention center from the ground up. 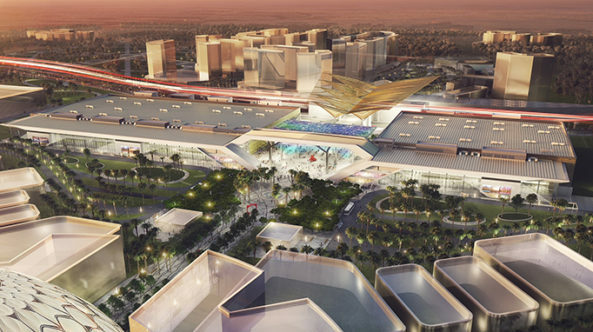 With a budget of $288 million, June saw the city break ground on what is the largest single construction project in its history, and what promises to be a state-of-the-art facility offering a 200,000-square-foot exhibit hall, a 30,000-square-foot ballroom and 45,000 sq. ft. of general meeting space. But what excites Carrier the most is the fact that the new convention center is being built with the future in mind. Though there is no way to know exactly what the meeting’s industry will require of destinations over time, the new facility is designed specifically to make continued expansions and improvements as simple as possible. “For this, we’re looking 50 years down the road,” Carrier says. 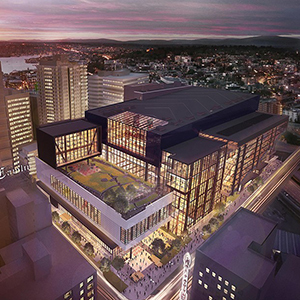 And even though construction won’t complete until 2020, the convention center is already having an effect. The investment alone has driven greater interest at trade shows and generated a palpable excitement from groups. “It’s put us on the map,” Carrier says. That desire is the core drive behind the newly announced expansion, the sixth major expansion in the convention center’s 46-year history. 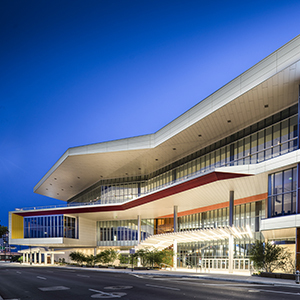 As recently as 2011, $275 million went into another round of expansions, at the time propelling the venue to be the 16th-largest convention center in the country and connecting it to 4,717 hotel rooms. 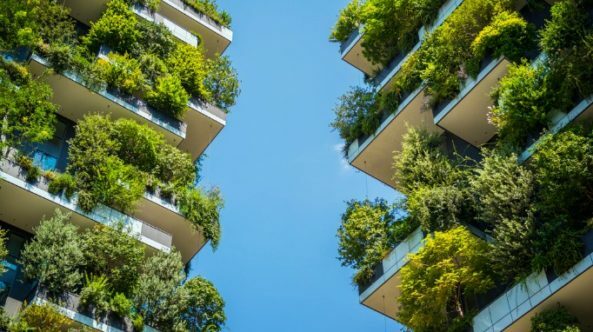 Exhausting and expensive as staying on the cutting might seem, however, St. Louis, Oklahoma City and Indianapolis have inspiring case studies right in their regional backyard. It is hard to ignore the visceral impact a new convention center and an expansion have had in Nashville and San Antonio. The potential upside is clear for destinations willing to make the investment, but that doesn’t mean upgrading to a modern convention center is an easy sell. St. Louis and Indianapolis now must wait for new county and city legislation to pass, enabling—among other things—taxes that would ultimately pay for both projects. Estimating a potential 36 percent growth in event bookings in St. Louis, more than making up for the 20–30 percent decline the city has seen in in recent years, proponents of the expansion have put forward a plan to extend the hotel-tax model still being used to pay off the last major America’s Center expansion. Funded through taxes on out-of-town visitors, the plan would see the city and county paying off a new set of 40-year bonds. Taking a different tactic, Indianapolis is proposing that Indiana Convention Center expansion will, in a way, pay for itself. Funds will come from the property tax increment generated by the development, and reallocation of tax increment financing (TIF funds) already dedicated to downtown for the Capital Improvement Board of Managers, the organization managing the project. While we will likely have to wait until 2019 to hear the fate of both convention centers, the growing pressure on the destinations isn’t likely to be alleviated any time soon, since there is an intense need to stay competitive for meetings.